Over one billion dollars are spent in presidential election years on an expensive art form: political campaigns. Many political observers believe that at least half that amount is wasted. But, which half? Edward Schwartzman answers that question based upon experience gained in seventy-five campaigns. 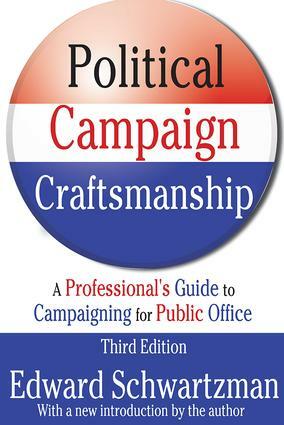 "Political Campaign Craftsmanship" treats both the art and science of campaigning, describing the procedures basic to modern professional campaigning. This practical guide to campaigns covers the entire process and gives specific strategies for every phase.